A significant number of business people today consider digital marketing strategies as an essential part of their business. An online presence – through either a solo website or online advertisements, already plays a huge role in promotion and marketing. A lot of traditional and brick and mortar stores also make use of social media to reach their target market. Granted that digital marketing is important these days, however, companies that rely solely on the Internet are missing the opportunities and benefits that other marketing channels could bring. Another marketing channel that every company should still take full advantage of is print marketing. Print marketing includes a range of options that you can use to promote your business to potential customers. Plus, it allows you to keep in contact with past customers so that they will continue to conduct business with you. Printed collaterals such as brochures and business cards also let you place important business information in the hands of your customers – this is something you cannot do online. Its surprising the number of businesses that are unfamiliar with the advantages of print marketing, mainly because of the advent and popularity of the Internet and digital marketing. So why not take advantage and reach out to customers in ways that would simply be impossible for online and digital marketing? Printed materials could boost your company’s reach. Printed collaterals such as business cards, brochures, and everything else that makes use of your company logo, name, and slogan, are great opportunities to increase your brand’s visibility and branding. At the same time, they serve as great avenues to introduce and market your company’s products and services to prospective customers. Printed materials could increase your customer engagement.Compared to the Internet where people can just scan over articles and advertisements, customers’ engagement with printed material tends to be longer. Printed material also provides customers the opportunity to further review your products and services, and can even be filed for reference for future use. Printed material could boost your business’ credibility.Businesses have used printed materials for a much longer time compared to websites, hence a lot of customers would consider businesses who have calling cards, brochures, and letterheads more credible and reliable than businesses who do not. They lend legitimacy to businesses. Plus, printed brochures would always be there when the customer comes back for it, unlike websites that could easily disappear. Printed materials could provide your customers a break from the Internet. Let your customers unplug from the digital world by providing them a different medium from which to learn about business. These days most of us are connected to the Internet during the most part of the day, so reading a book, brochure or anything offline could be a welcome break. Print materials could be a brilliant way to keep your customers. These days, a lot of companies rely on digital newsletters to keep track of customers, most of which will remain unopened or immediately trashed in email inboxes. However, a snail-mailed brochure or postcard would probably pique your customers’ interest more, and will remind them that your company is still around and willing to do business with them. This is also a great way to introduce new products and services to existing and former customers. Not everyone is always online. This might be quite hard to believe in today’s digital world, but the fact is, a number of people try to limit their time online. These people are still a considerable market for your business, and you can better reach them with your printed collaterals. How to make effective printed materials? Visual appeal. Your printed collaterals should have the right combination of texts and images that will effectively convey your company’s message. Images and texts should complement each other and not overwhelm the reader. Focus on the customer. Some printed materials prove to be more effective when they focus on the customer – such as postcards and brochures. Present information in a way that speaks directly to the customer, such as putting emphasis on what your company can do for him/her, or the benefits your products or services could provide to him/her. Do not forget to include a call to action to urge customers to either stop by your shop or office, or inquire. Consult the professionals. The best way to ensure that you have effective printed marketing materials for your business is to work with design professionals. Here at uClick Solutions, we will collaborate with you to design the most effective, custom-tailored printed marketing collaterals for your business. 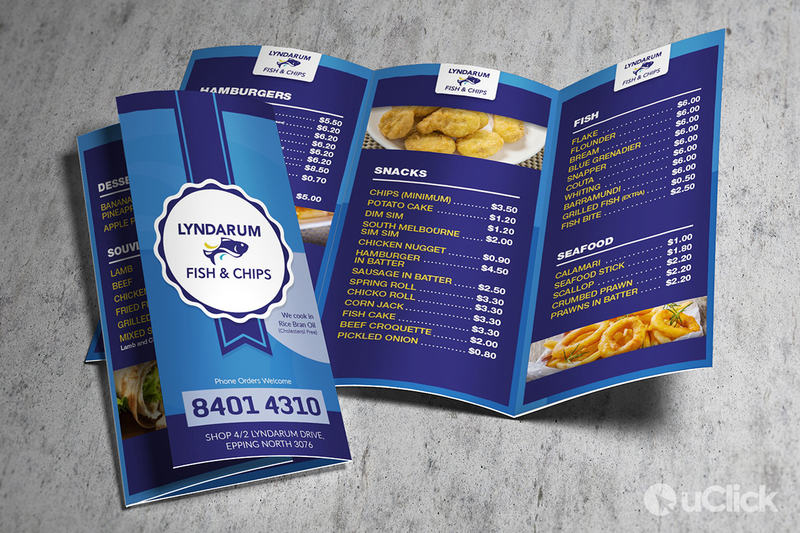 We guarantee effective and memorable printed material that would send the right message to your target audience.